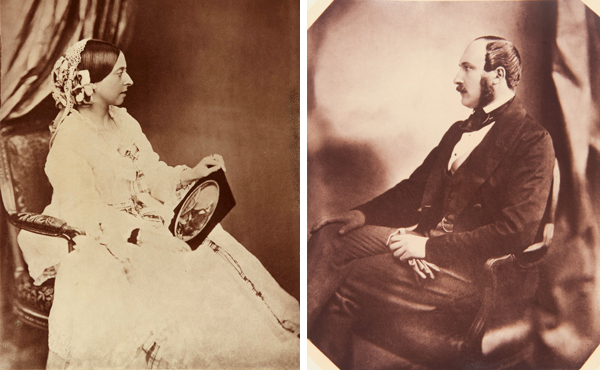 Queen Victoria and Prince Albert, subjects of an exhibition at the Getty Center, were madly in love with each other…and with the camera. 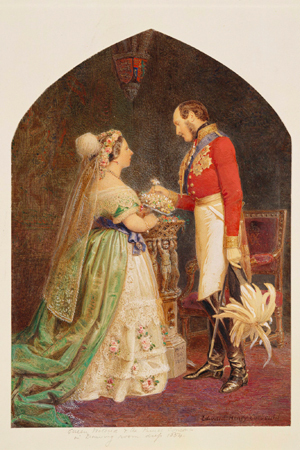 At age 17, Alexandrina Victoria, soon to be Queen Victoria, was in a bit of a quandary. While she knew that finding the proper husband was one of the most important decisions of her life, she was also feeling the pressure to walk down the aisle. In less than a year her uncle, William IV, would die, and she would be crowned as queen. It seemed only proper that she find a suitable mate to share in her reign—but it was slim pickings in the royal line. That is some serious devotion. What makes the love between Victoria and Albert so unique is that it was the first to play out in front of the camera—a story told in the exhibition A Royal Passion: Queen Victoria and Photography. 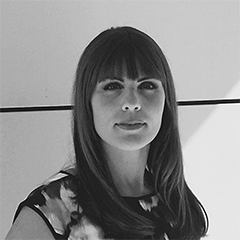 The exhibition features substantial loans from Royal Collection Trust, including several photographs created as personal souvenirs and never meant for public view. In January 1839 Louis-Jacques-Mandé Daguerre announced the invention of photography, and William Henry Fox Talbot followed quickly with his own claim to the medium. It is known that Victoria was shown photographs by Talbot as early as 1839, and just a few years later Victoria and Albert were collecting daguerreotypes. For royals to take an interest in such a young medium meant that photography could only grow in popularity among the general public. 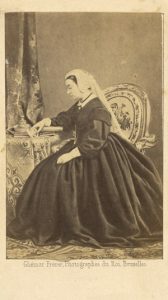 Victoria and Albert amassed a large collection of private and public photographs, and the public ones were distributed as easy-to-transport cartes de visite(calling cards) during the 1860s. For the first time in history, the public could carry around actual pictures of the royals in their pockets, or admire them on a wall. 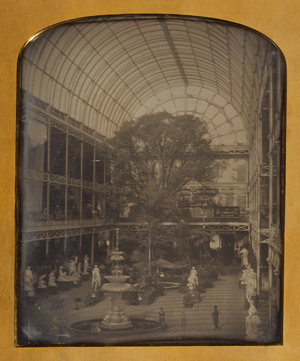 In 1851 Victoria and Albert presided over the Great Exhibition at the Crystal Palace in Hyde Park, which featured nearly 700 photographs as part of an international celebration of art, invention, and culture. They also had practical concerns about photography, such as fading, and donated funds to the Photographic Society of London to establish a “Fading Committee” to investigate the causes. More than an art form, photography became a mutual hobby and expression of affection for Victoria and Albert. They would sit for both private and publicly distributed portraits, arrange photo albums, and give each other prints as gifts for birthday and holidays. Even their nine (nine!) children got in on the act, and they were often photographed individually and as a family. In 1854 Albert was photographed by Bryan Edward Duppa, and as a birthday present to Albert, Victoria had herself photographed by Duppa while holding that same photograph. Très romantique. In 1861 Albert died suddenly, leaving Victoria a widow at age 42. She embarked on a long period of mourning in which she withdrew from public life. 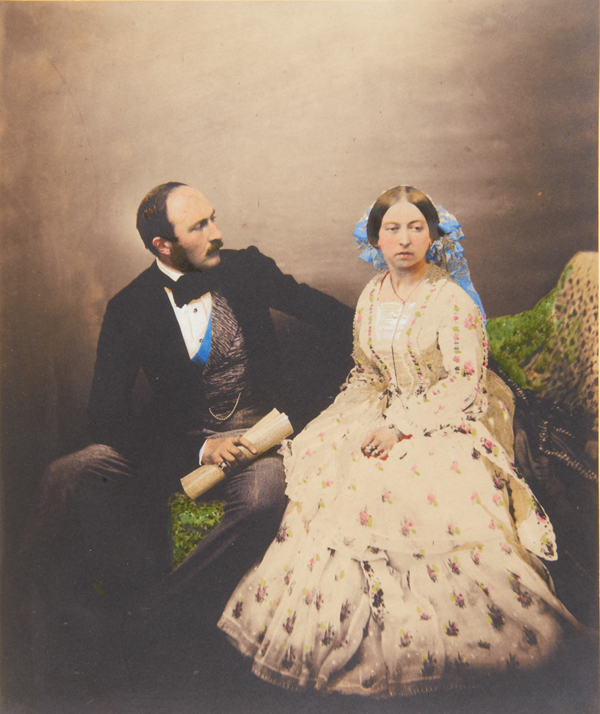 Even in death, Albert never left Victoria’s side in photographs. In this 1862 photograph, Victoria is seen seated, dressed in black, and gazing at a picture of Albert. Other photographs feature a bust of Albert present with the royal family. While Victoria and Albert’s love story was tragically cut short, their devotion to photography offers a vast historical record of their relationship and family life. On this Valentine’s Day, we celebrate a royal match whose relationship remains a model to this day.